I just love it when something turns out the way I envisioned it in my head. I'd like to think it is all because of my mad designing and quilting skills, but really I couldn't go wrong with these fabrics. 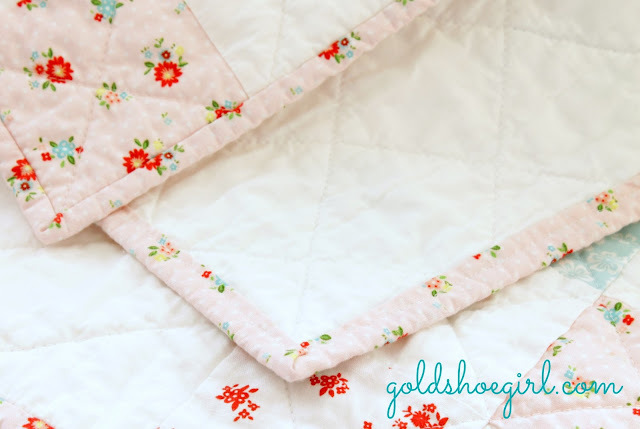 This quilt is made from Tasha Noel's Simple Life collection for Riley Blake fabrics. I love the combination of the red, pink and aquas. I did a traditional 9-patch pattern for the prints and did a solid white block in between each 9-patch block. Once I finished the top I quilted it diagonally across the squares. 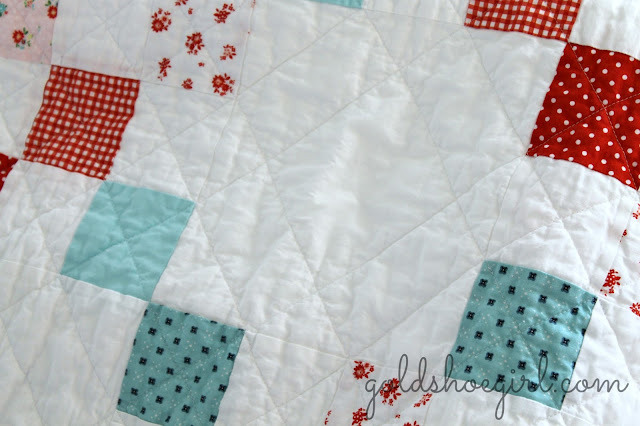 I love the pattern the quilting made on the solid white blocks and the back. Then I did the binding in the pink floral. It just turned out so cute I can't stand it. 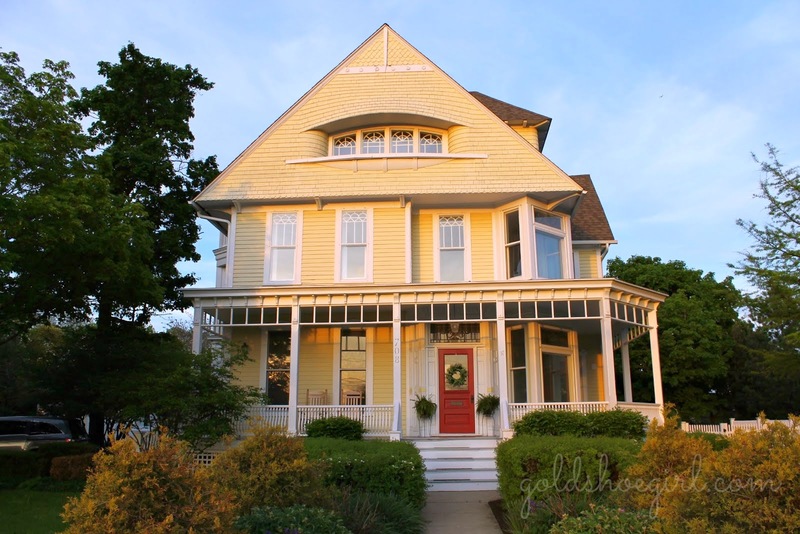 It measures approximately 45 x 60 inches. 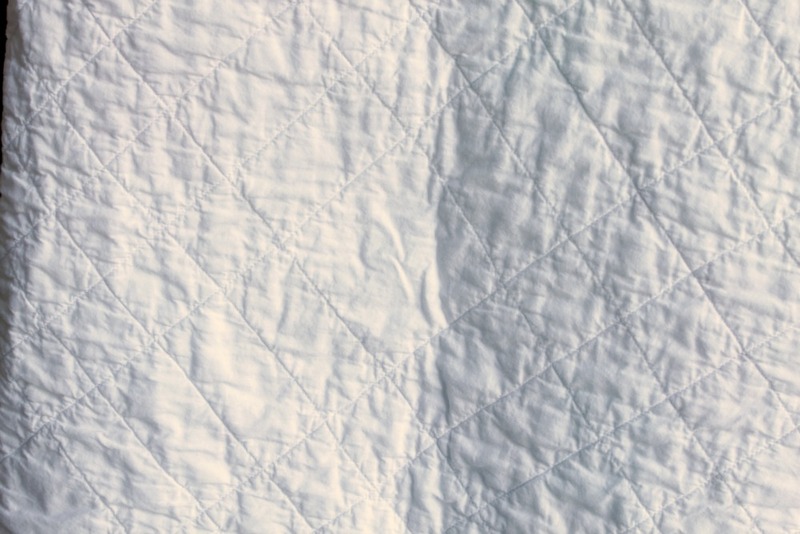 The 9-patches were made from 3.5 inch squares. I machine sewed the binding. I'm also working on some coordinating pillows made from the same fabrics. I'll share those in the next day or so. 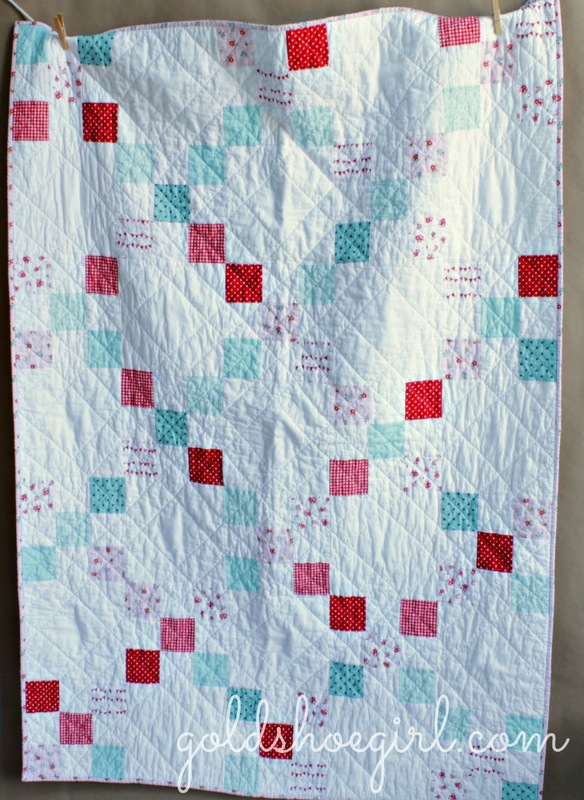 This quilt is for sale in my etsy shop. Click here if you're interested. beautiful! fresh, clean, light. love the colors and quilting choice. nice finish. I loved that fabric too although I had this thing about making sure it didn't get put upside down or sideways. Beautiful Irish Chain quilt! The binding is so sweet! I'm glad to hear it can be considered an Irish Chain - I wasn't sure when you can call them that versus 9-patch. Although both names sound sweet but it's nice to add something else to my repertoire. Love all the negative space. It looks so fresh! 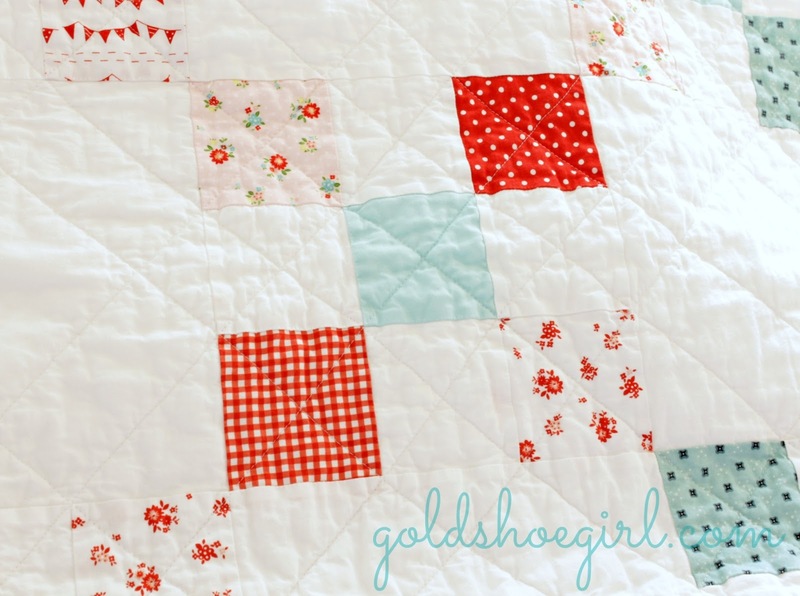 Lovely, delicate quilt! Quilting is perfect! Looks fantastic both the colors and the quilting.